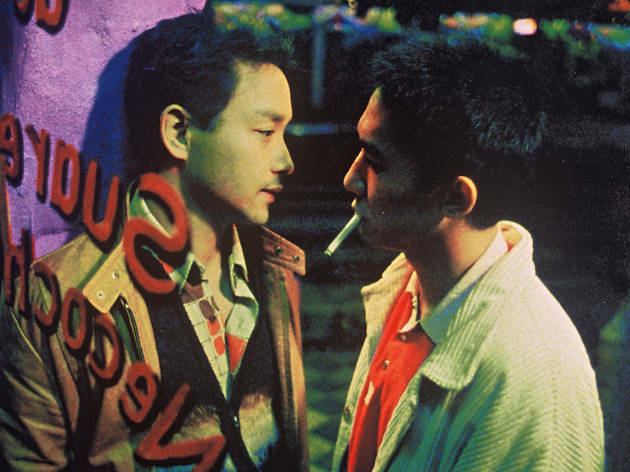 Wong Kar-Wai and cameraman Chris Doyle have crafted their most lyrical film. The romance between two gay men from Hong Kong ends soon after they arrive in Argentina. Lai (Leung) gets a job as a doorman at a Buenos Aires tango bar and starts saving for his ticket home. Ho (Cheung) turns tricks for fun and profit, but comes running back to Lai for comfort when one of his clients leaves him bruised and bleeding. Lai befriends - and somehow draws emotional strength from - a Taiwanese kid on his way south to 'the end of the world'. The three main characters give Wong all he needs for a piercing meditation on the meaning of partings, reunions, and attempts to start over. From afar (Buenos Aires is Hong Kong's antipodes), he crystallises the anxieties and hopes of Hong Kong people on the eve of the return to China.